Gifts From Home are care packages you can send directly to your student. The care packages can be picked up from The Marketplace located on the first floor of the New Hall Residence. 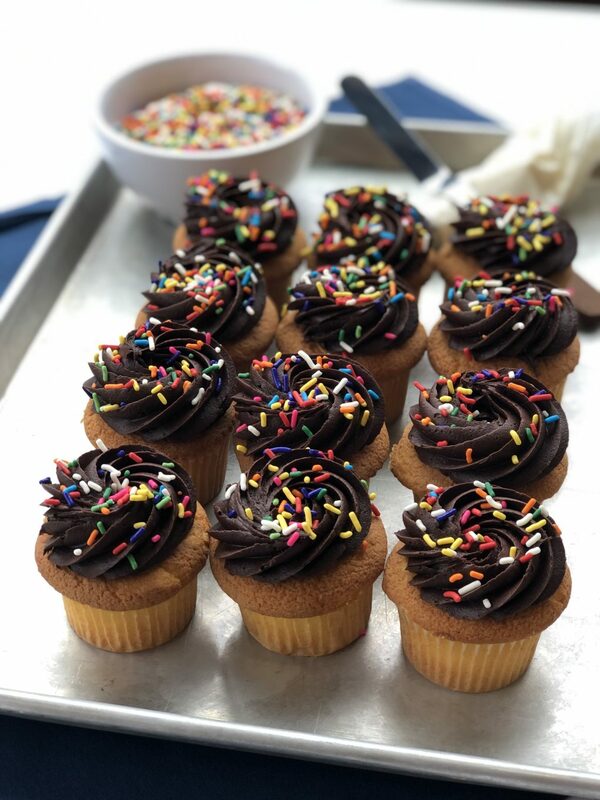 Dining Services Administration will notify students of their surprise Gift From Home. Message will include pick up instructions. All Bakeshop items are free of Peanuts and Tree Nuts and includes a customizable card. 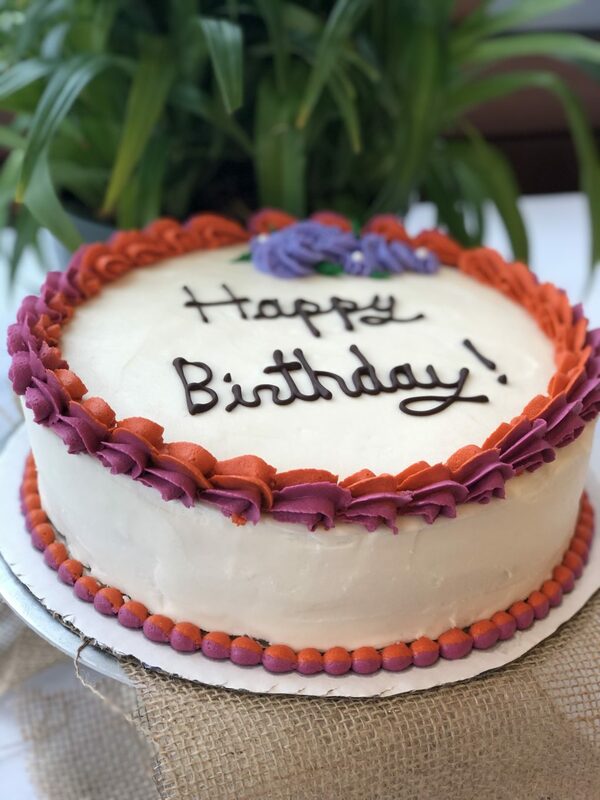 Birthday Cake - Celebrate your special someone’s birthday with a beautifully decorated house made 10” cake from our bake shop - $14.95. Assorted Cupcakes - One dozen cupcakes good for any occasion - $14.95. 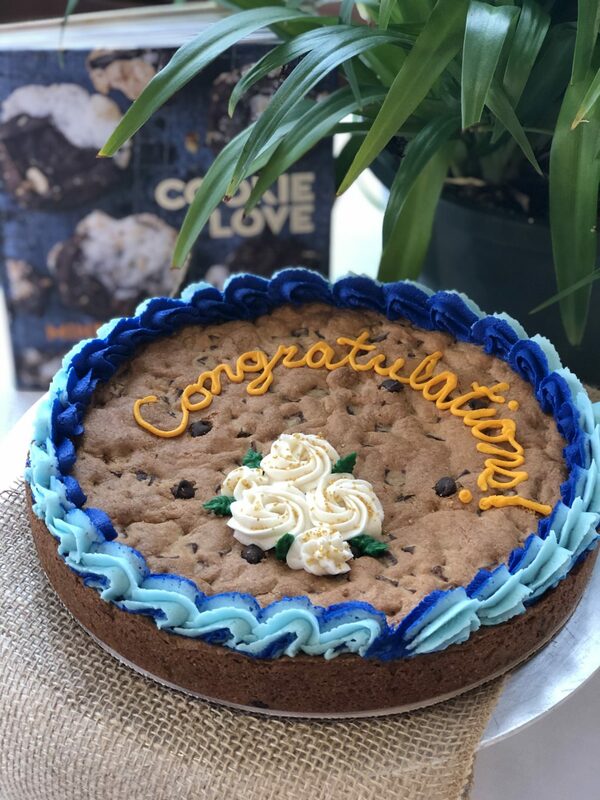 Giant Decorated Cookie - Send your special someone a giant decorated 10" chocolate chip or sugar cookie customizable to say 'Congratulations' or 'Good Luck' - $14.95. 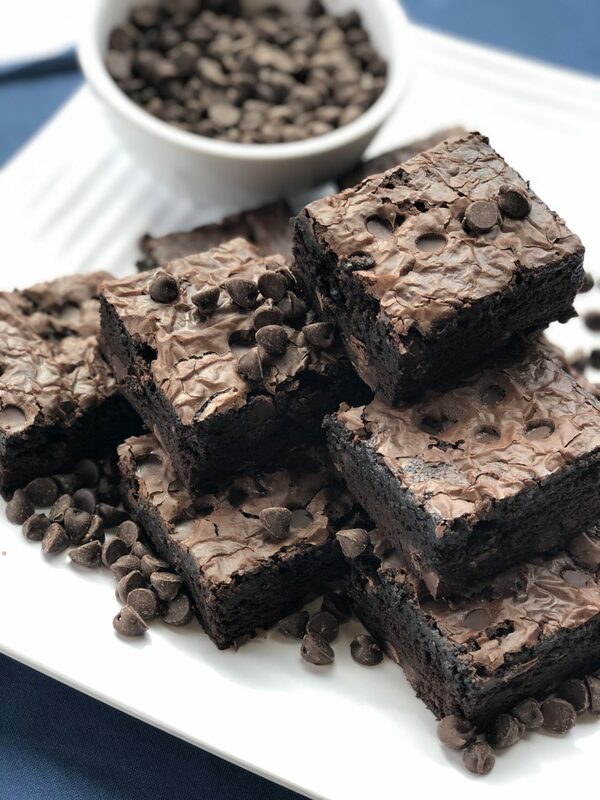 Thinking of You Package - Let your special someone know you are thinking of them with a gift box of a dozen freshly baked brownies created in our bake shop - $14.95. Exam Smart Pack - Let your special someone know you are rooting for them during exams. 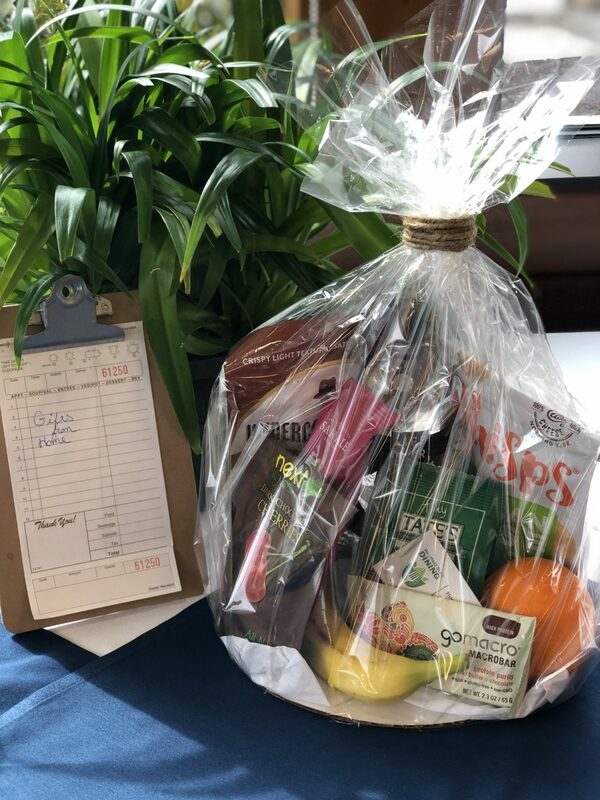 The Smart Pack consists of Life water, Ely Harvest gift card for a smoothie of their choice, bag of assorted nuts, fresh hand fruit, bag of dried fruit, assorted bite size chocolates, house made poptarts, Kind Bar, Cliff Bar and Orbit Gum - $25.95. 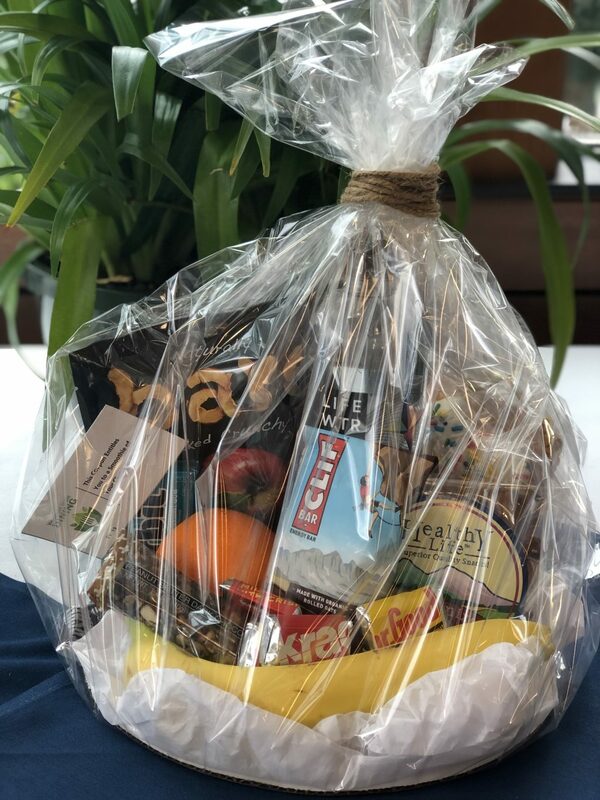 Gluten Free Smart Pack - This Smart Pack is perfect for anyone with gluten sensitivity, bag consists of Life water, Ely Harvest gift card for Smoothie of their choice, Tates cookies, Shale nut snacks, Whisps cheese crisps, next nature, and under cover quinoa - $25.95. Please enter the student's name we will be contacting when the order is ready for pick up. Please enter the name we will be contacting to review this order and receive payment. Confirmation Email Address * Please enter a valid email address to receive confirmation of your order. Phone Number * Please enter your primary phone number to review your order and confirm payment.